Chris Beddow is a new Criminal Justice Associate Attorney with Powers Law Firm PA. As a licensed member of both the North Carolina State Bar and South Carolina State Bar, Mr. Beddow is eager to represent clients who are facing allegations of either misdemeanor or felony criminal charges throughout the Carolinas. Mr. Beddow is available for legal representation for criminal charges including DUI South Carolina, DWI North Carolina, larceny, shoplifting, drug charges, possession of paraphernalia, assault, assault and battery, and domestic violence charges in Rock Hill, SC and York County, as well as serving as a criminal defense lawyer Charlotte NC. Mr. Beddow is a graduate of the University of North Carolina-Chapel Hill, and the University of South Carolina School of Law. At USC Law, Mr. Beddow was the Senior Articles Editor for the ABA Real Property, Trust & Estate Law Journal. During his time in law school, Mr. Beddow also served as an intern for the Honorable Paul Martin Newby of the North Carolina Supreme Court and clerked for the South Carolina litigation firms of Richard Harpootlian, P.A., and Rogers, Townsend & Thomas, PC. Prior to law school, Mr. Beddow pursued his passion for theatre and film in New York City. Mr. Beddow graduated from the New York Film Academy Acting for Film Program and appeared as a professional actor in TV, film and theatre productions throughout New York. Mr. Beddow has experience representing clients in North and South Carolina on a variety of issues pertaining to civil and criminal litigation matters. 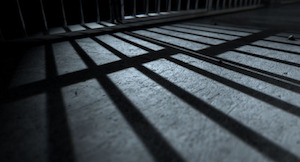 As a criminal defense attorney at the Powers Law Firm law firm, Mr. Beddow is deeply committed to providing zealous representation to his clients. A native Charlottean, Mr. Beddow graduated from Charlotte Latin School in 2004 and is a diehard Carolina Panthers and UNC basketball fan. Mr. Beddow is also an avid outdoorsman and enjoys, among other things, fishing, hunting, running, skiing and golf. Chris has completed multiple half-marathons and completed his first full marathon in Charlotte (Novant Health Marathon) last November. Our law firm has three convenient office locations. Two are located in Charlotte, NC and we also have a law office in Rock Hill, South Carolina. 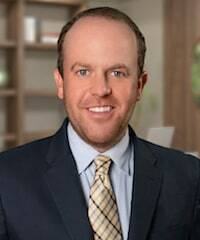 Chris Beddow is licensed to practice law in both North Carolina and South Carolina. That includes cases for “drunk driving” or “drunken driving” as some people may call it. In South Carolina, defense lawyers refer to it as DUI or SC DUI charges. 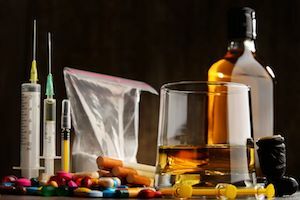 In North Carolina, DWI defense attorneys help people charged with “driving while impaired” (DWI) or driving while subject to an impairing substance. Why Did You Become a Carolina Criminal Lawyer? It may sound cliché but I wanted to enter the legal profession to help people and make a difference in their lives. On a daily basis, I am able to navigate the complexities and intricacies of the legal system on behalf of my clients in furtherance of their interests. It is a real rush to be a criminal defense lawyer. I couldn’t think of anything else I would rather be doing in the legal profession. I enjoy helping people with simple things like alcohol charges, all the way to larceny, fraud, and embezzlement. The focus is on the client, not the criminal defense practice area. It is also challenging and rewarding to be able to practice law in two different states. Despite the close proximity of North Carolina and South Carolina, the law can be vastly different from one jurisdiction to the next and it is my responsibility to keenly aware of these differences. Additionally, I grew up in a household of attorneys. My father has practiced law for almost 40 years in Charlotte, NC and my sister is an insurance defense attorney in Raleigh, NC. **Chris Beddow is the sole attorney at Powers Law Firm PA licensed in South Carolina and is therefore the attorney-of-record for all clients seeking legal representation in South Carolina. Attorney Chris Beddow is also the attorneys responsible for all SC legal content on the CarolinaAttorneys.com website and blog. CarolinaAttorneys.com (Powers Law Firm PA) is a Charlotte metro area law firm. Anyone who lives in the area knows that lots of people go back and forth across state lines to live and work. If you Googled “I need a lawyer near me,” or “Criminal Defense Lawyers Near Me”, we have you covered.